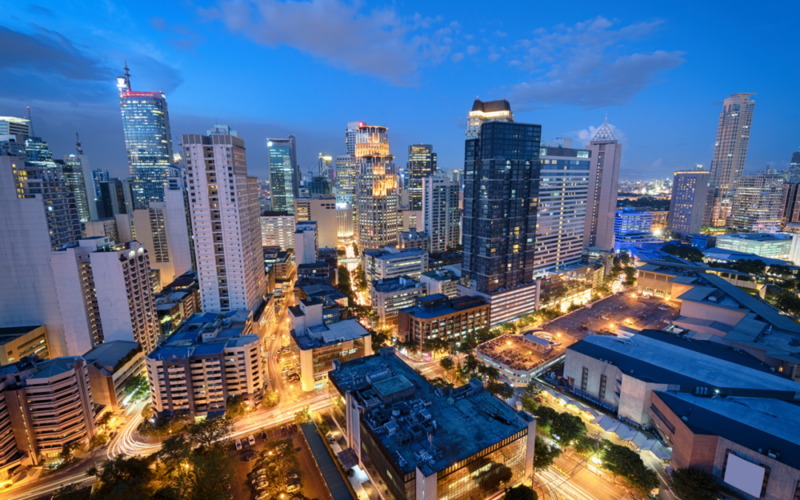 Manila, Philippines is becoming a popular travel destination. If this is your first time, here’s how a Manila chauffeur service can help you with your travels. The Philippines, home to over 7,000 islands, is home to friendly locals, unforgettable hiking adventures, and crazy good street food. But if it’s your first time visiting this beautiful country, there’s a lot of things you need to know in to have the best trip of your life. For example, which of the exhaustive list of sights should you be sure to see? What currency does the country use? And how can a Manila chauffeur service make your life easier? Take a look at our extensive travel guide to the Philippines to ensure that your trip to Manila (and any other region of the Philippines) goes as smoothly as possible. If this is your first time in the Philippines, there’s some basic information you’ll need to know. For any country that has diplomatic relations with the Philippines, you can enter the country for up to 30 days without a visa. Of course, you’ll need a passport that’s valid for at least 6 months after your arrival, as well as proof of return passage. The official currency of the country is the Philippine Peso (a.k.a. PHP). The exchange rate is about $1 for PHP 50 (or 1 for PHP 60). Each PHP is divisible into 100 centavos. If you need to change money while on your trip, it’s easy especially in Manila. And most of the many malls throughout the country have ATMs. With this tropical country, you won’t have to worry about it being too cold in fact, you may have the opposite problem. Temperatures from March through May will often be over 100F (or, 40C). And June through November is the rainy season while it’ll be less crowded, you also run the risk of flight problems due to the weather. The best time to visit is likely from December through February. At this time, temperatures are cooler while you still avoid the rainy season. Most flights will arrive at Manila’s NAIA airport. To make sure you get to and from your destination with ease, book a VIP airport service. The best way to get around in Manila is by chauffeur service. There’s just no getting around it. The city is notorious for terrible traffic, so having a safe and reliable mode of transportation is unbeatable. Taxi drivers have bad reputations, even among the locals. They often try to scam tourists, or sometimes beggars will reach in the windows and try to steal your belongings. Obviously, they aren’t all like this, but it’s better to be safe than sorry. Public transport is dicey at best. The buses are rundown and they drive terribly unsafe. And the subway system (the MRT) gets very busy and very hot during rush hour. You may want to take a day trip outside of the city. And you definitely want someone who follows proper safety precautions so you have a fun and secure trip. So if you want the best mode of transportation, get a Manila chauffeur service. If you’re going to travel Manila, don’t miss out on these top sights to see! This historic location is a huge tourist attraction and it’s easy to see why: it’s gorgeous. This walled area was the colonial city of Manila back during the Spanish occupation, and it’s only a quarter of a square mile (less than a square kilometer) in size. You can take a guided tour or explore it yourself. Be sure to see Fort Santiago, Manila Cathedral, and San Agustin Church before you go. Mall culture is huge in Manila, so if you want to do some shopping, there’s plenty of places to go. It’s especially crazy on the weekends. The National Museum is actually made up of three buildings: the National Art Gallery, the Planetarium, and the Museum of the Filipino People (home to historical artefacts). So whether you love art, science, or history, there’s something here for you. Don’t forget to stop and see Spoliarium, which is the country’s most internationally renowned art piece. You can either follow a guide or make your own itinerary in Manila for a food crawl. You can’t miss Binondo, which is Manila’s Chinatown (and the world’s oldest Chinatown). And Poblacion, a growing food and arts district, has plenty of popular restaurants. Over the weekend, try the Salcedo Community Market on Saturday morning or the Legazpi Sunday Market, where you’ll find tons of food options. And don’t forget to try out some of the famous Filipino street food! Near the Mall of Asia, the Dessert Museum is the place to go if you have a sweet tooth. Admission is PHP 799 and includes a two-hour tour through the 8 dessert-themed rooms. And it comes with 6 free desserts to enjoy on your tour! Learn fun facts and history about some of your favorite desserts at this adorable, one-of-a-kind museum. You can’t miss this breathtaking sunset, so find a place to overlook Manila Bay at some point between 5 PM and 7 PM. You can enjoy it for free at the Baywalk along Roxas Boulevard. But the best way to enjoy it is to sit at one of the al fresco restaurants on Seaside Boulevard overlooking the bay. If you’re planning to go on a day trip from the main city, our luxury transportation services can take you there. Here are a few of our top suggestions. This is probably the most popular day trip destination. At this town two hours to the south of Manila, you’ll find cooler climates and the beautiful Taal Volcano. This volcano is in the middle of a lake and is one of the country’s most active volcanoes. If you’d like a more exciting adventure, you can opt to hike the volcano as well. It’s possible for all skill levels, but it’s sure to be hot, so make sure you’re prepared for this adventure. This conservation area and geological park is about an hour and a half from the city. Here, a hiking trail uses rope walls, bridges, and viewing platforms to prove an overview of the area’s rain forest. Be sure to book early it’s very popular right now, and only 4 groups are permitted to the area per day. This plantation resort located two and a half hours south of the city. Its biggest attraction is the Labasin Waterfalls Restaurant. At this unforgettable restaurant, you can eat Filipino food kamayan-style (with your hands) while you soak your feet at the bottom of a man-made waterfall. While you’re there, you can also enjoy the Escudero Private Museum, bamboo rafting, and a cultural showcase called the Philippine Experience Show. This historic town two hours south of Manila is home to a ton of Spanish colonial heritage houses. The easiest way to get the most out of your day is to book a walking tour, but you can also just wander about and enjoy the town’s beauty. It’s also home to the biggest church in Southeast Asia, called the Basilica of Saint Martin. Similarly, the pair of wells known as Sta. Lucia Well is said to have healing powers and is the site of the first recorded sighting of the Virgin Mary in the country. Book Your Manila Chauffeur Service Today! If you’re planning on heading to Manila sometime soon, we have several services that can help you. If you need airport VIP service, Manila chauffeur service, or business services, we’ve got you covered. We can be your global concierge so that you can focus on enjoying your business trip or vacation. And if you already have a Manila itinerary of places you’d like to tour in mind, we can even offer you a personalized special interest tour. Contact us at AssistAnt today for any of your luxury travel needs we’re sure we can make your trip to Manila unforgettable.